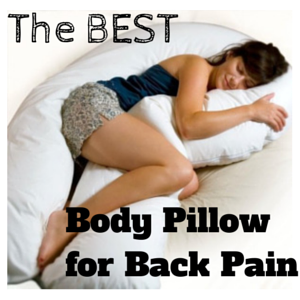 Your lower back hurts and all you want to do is rest with an ice/heat pack glued to your back. And if your pain is debilitating and you can’t move – that’s the right thing to do for a while. If you can move – some types of exercises are incredibly good for your back. They will strengthen it and make your core muscles, which support your back – stronger. Some popular exercises, though, may not only make your pain worse, but cause further damage – whether you can feel it or not. These otherwise effective exercises can pull your spine out of alignment, put too much pressure on your disks, pinch a nerve — or just give you (more) unnecessary back pain. Here you will find 8 exercises to avoid at all costs when your lower back hurts, even if you can’t wait to get back to the gym. I don’t mean the “good kind of pain”, when your muscles are working. When the pain feels like burning, or stabbing, or lasts for more than a couple of minutes, it’s time to stop. This is the point when exercise turns into an injury, or further injury. Any type of high-impact aerobic exercise requires caution, especially when done on hard surface. Jogging, running, tennis and some types of dance are examples of exercises to avoid when you have lower back pain. If you can’t maintain your spine in a neutral position during aerobic exercise, you will not be able to protect your back and you will cause more damage to it. Also, avoid any contact sports and rebounding for a while. No matter the cause of your lower back pain (muscle knots, bulging disc, pinched nerve, sciatica etc), jumping, in general, is a bad idea. Squats are effective yet risky because they may cause lower back strain, especially when done improperly. When you do sit ups, your lower back gets hit when your hip flexors pull on the spine to raise your upper body off the ground. Sit ups and crunches put unnecessary stress on your lower back and neck. The worst abs exercise is when your legs lay flat and the floor and someone sits on your feet. It actually strains your lower back and doesn’t even target your abs, by the way. Side raises, front raises, side bends, back bends and dumbbell overhead presses are a big no-no if you have lower back pain. It’s very hard to keep your back aligned while doing these and they cause unnecessary strain on your lower back. Though these are highly popular in Yoga and Pilates classes, they may not be such a good idea for acute lower back pain. Turning your upper body while keeping your lower body forward is not only an awkward movement, but it puts stress on the spine and can eventually cause nerve damage. Popular at boot camp-style workouts and Pilates, this exercise has you lying on your back trying to lower your legs to the ground, or life them from the ground. If your low back arches off the ground, you risk back muscle strain and injury. Most herniated discs occur when we’re bending forward – especially when twisting to the side or lifting something. So…not a good idea right now. Don’t do these until your disc is strong enough to support this position and when all other forms of flexion feel comfortable. The best way to strengthen your lower back pain is to focus on your core (which includes the glutes, hip flexors, abs and obliques, and pelvic floor for women). Pilates combines stretching, strengthening, and core abdominal exercises. But not all exercises will be good for lower back pain, so you’ll have to tell the instructor about your limitations. Yoga is great because as long as your teacher knows your limitations, few exercises combine flexibility and strength as well as Yoga. If you want to do Pilates or Yoga at home, make sure you know what you’re doing. Here’s a great resource: A 15-Minute-a-Day Yoga- and Pilates-Based Program to End Low Back Pain. Swimming and walking are probably the most beneficial exercises for lower back pain. Walking is a great aerobics choice for lower back pain, and swimming (or water aerobics) is even better. Water provides support and resistance. Almost any type of exercise done in water is beneficial and safe for low back pain. Water fitness, walking in water, water aerobics are all exercises that can take the load off your joints but still give you a full workout. Here’s a great guide with 78 safe and effective water aerobics exercises. If you’ll ask any chiropractor, he’ll probably tell you that most back pain cases are caused by muscle imbalances – The hidden root cause of back pain problems. Simply put, muscle imbalances happen when you have over developed muscles in one area of your body while the opposing area are weak and stretched out of their normal position. This will be a breakthrough for you – you’ll discover the root cause of your low back pain. The results of this initial assessment will then be used to design a specific program of corrective exercises – tailored exactly for you. You will have to commit to doing the exercises that are required, but isn’t that better than facing surgery or potentially becoming addicted to pain killers? You can decide if it’s the right treatment for you HERE. If your back pain increases when you try to exercise, it’s best to stop for a few days before trying again. If you have a fever, suffered a back trauma or have unexplained weight loss – see a doctor. What about you? Is there any exercise that made your back pain worse? Or better? Share your story in the comments. Would seated leg press high reps have caused my back and leg paim.I haven’t been active for 2hrs did to change of work or manual to sitting at screen 14hrs a day. Yes, it’s possible. A lot of pressure on your back muscles after sitting for a long time can cause stress to the muscles.